The Yangjaecheon Stream is an essential spot for anyone who wants to breathe in the city‘s autumnal beauty. Both sides of the stream are lined with nicely paved walkways, most of which are covered in a soft, ergonomic layer of padding to lessen the shock on walkers‘ joints. Trees around no matter where you walk, which means lovely foliage everywhere. The stream originates in Mt. Gwanaksan and flows through the Gwacheon-gu and southern Gangnam-gu districts before joining Tancheon Stream, which stretches all down to Bundang. 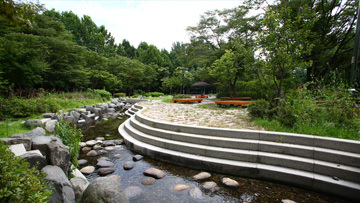 The paths that run from Dogok-dong to Daechi-dong are the official walkways of Yangjaecheon Stream. At night, the trees and the streetlights make it quite the date spot, and the bike trails that stretch all the way from Gwacheon to Gangnam are ideal. 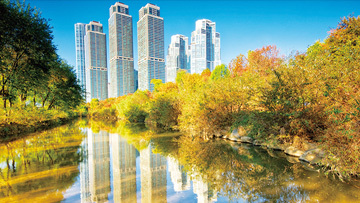 Yangjae Citizen‘s Forest nearby has over 70 different species of trees scattered around its massive premises. An interesting feature is the ”acupuncture path,” a walkway featuring strategically placed stones that are supposed to activate certain pressure points on your feet and relieve pain. Visitors can wash their feet in a man-made stream afterwards. The forest park also has several basketball courts and open fields for the athletic types. The venue’s foot traffic now has a more optimized flow and is set to offer a refreshing cultural experience for shoppers who frequent the Gangnam area. Establishing itself as Gangnam’s top shopping mecca, COEX Mall extends itself more to fashion, accessories, beauty and lifestyle brands that meet the global standard. 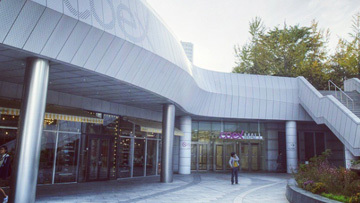 It is also conveniently connected to the nearest major transportation hubs City Airport Terminal and Samseong Subway Station, as well as InterContinental Hotel, Hyundai Department Store, ASEM Tower, COEX Artium, and more.